What's cooking at Central Market? Port Angeles at King's, 7 p.m.
Archbishop Murphy at King's**, 7 p.m.
Shorewood at Marysville Pilchuck, 7 p.m.
King's at South Whidbey**, 7 p.m.
Sultan at King's**, 7 p.m.
King's at Cedarcrest**, 7 p.m. Granite Falls at King's**, 7 p.m.
Coupeville at King's**, 7 p.m.
King's at Lakewood**, 7 p.m.
As promised, Rat City Rollergirls (RCRG) have rolled into Shoreline and they represent our newest ‘professional sports league.’ And I did mean league, as they are not just a team. In this article I will use the term league and team interchangeably to refer to Rat City Rollergirls. New home town location is 19022 Aurora Ave North where you are invited to attend an opening day event .. $10.00 donation at the door. Women’s Flat Track Derby Association is currently composed of 160 leagues and WFTDA is the international governing body. Be assured, this is not your mom or dad’s roller derby of the 1950’s-60’s with the banked track and people being hit off the track and over the rail. This is about women athletes competing in a sport that requires strength, agility, balance, endurance and strategic thinking and planning as well as lots of practice. 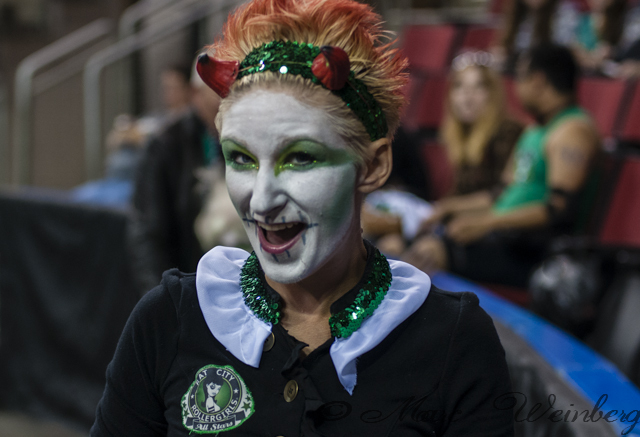 WFTDA sets the standards and makes the rules of the game as well as setting safety standards. They also say which leagues become members. Right now there are 198 member leagues and 98 leagues in the Apprentice Program. By reading just the first few sections of Rat City Rollergirls home page “About Us” you will get a good sense of who our new neighbors are. RCRG got started in April 2004 when a group of friends said, "why not here?" and "let’s do it now!" 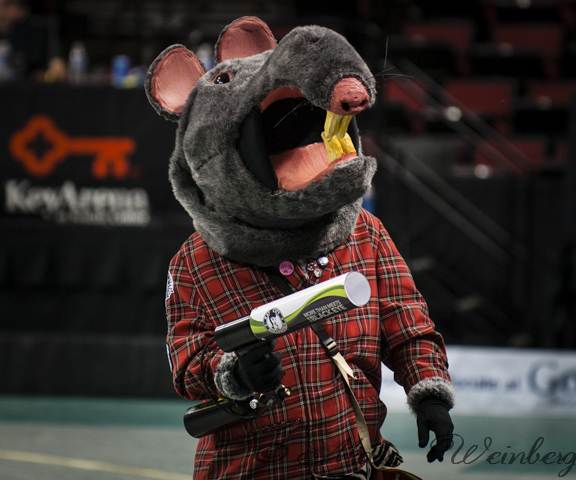 Shortly after that they formed Rat City Rollergirls, the first flat-track derby league in the Northwest. They made their first tournament appearance in 2006 in Tuscon, AZ. Since then this league of accomplished skaters has developed a very loyal fan base. The team has continued to maintain a ranking among the WFTDA in the top 10 best teams. Rat City is currently ranked #12 in the world and holds the #3 seed at the Division One Playoff Tournament to be hosted in Salem, OR in late September. 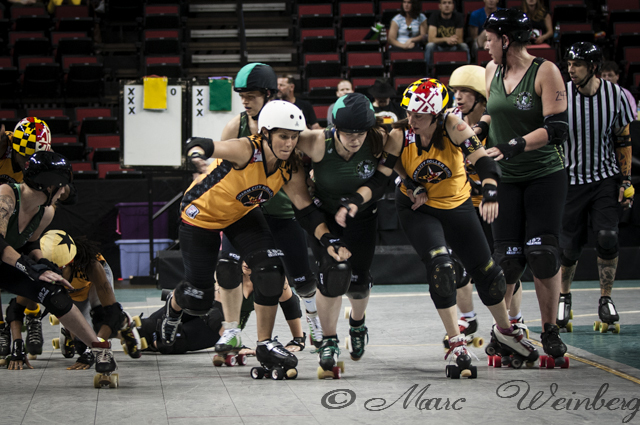 RCRG will continue to not only advance local derby activities in our community, but will provide coaching for juniors and adults and look for opportunities to participate in local festivities like Bumbershoot in Seattle and Shoreline events too. They have a history of local participation in charities and community outreach through their events and skating bouts. They are proud to be skating at Key Arena where other great teams have preceded them. 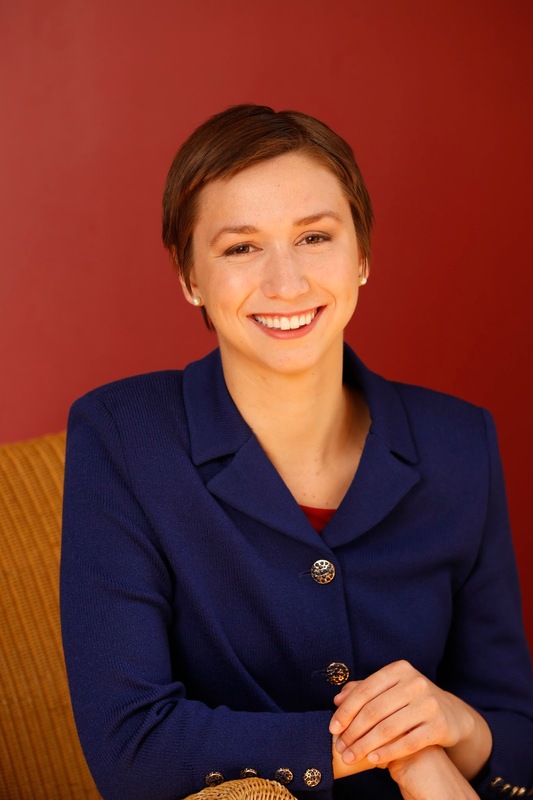 According to Alyssa Hoppe, Chief Operating Officer, in addition to community activities and trainings in the Shoreline location, there will also be team bouts. These will be public events, and yes, seating will be limited due to the constraints of the building. 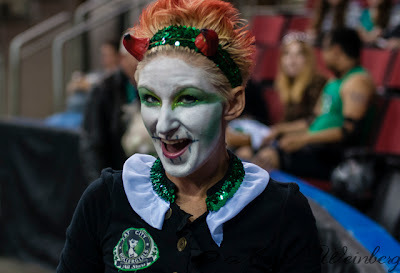 RCRG has consistently graduated to larger and larger venues, finally finding a home at Key Arena, home of the Seattle Storm WNBA team and former home to the Seattle Sonics NBA team. Of course, there's a real rat! For a guy writing about a group of women who call themselves ‘girls’ in today’s society, I am careful to only refer to them ‘as girls’ in the context of their sport. Everyone is a true athlete and to see this you’ll just have to come to a bout and judge for yourself. 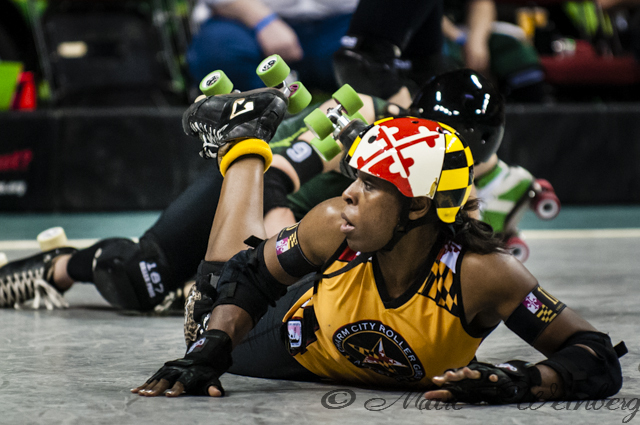 For me the most exciting moments have been when the ‘jammer’ skater, the one who can score team points, approaches the pack like a lioness on the hunt and instead of penetrating the lines of the defense with a heavy hand, she simply sidesteps her opponent blockers and slips through the crowd of defenders as they wonder what just happened. The crowd roars with approval and the game goes on. If you like the extraordinary moves in football and basketball, you will love this too. Check their schedule, plan an evening out, have some fun and show up for one of their bouts. Labor Day is the last gasp of summer and traffic will be heavy, but you can help yourself by planning ahead. Serious congestion could build on Snoqualmie and Stevens passes and from I-5 to Canada. 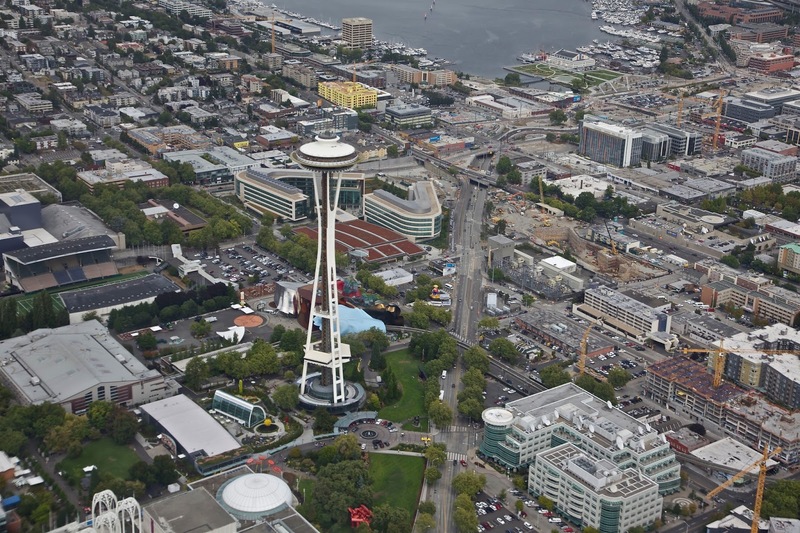 There’s also a huge PAX gaming convention at the Washington State Convention Center, Bumbershoot featuring Rock n Roll Hall-of Famers Heart at the Seattle Center and Saturday’s 7pm Huskies-Boise State football game to contend with. But you can figure out the best times to travel, keep up-to-date on pass conditions and get plenty of info on the WSDOT mobile app. Did you know that highway rest areas are not just a good place to referee backseat adolescent squabbling, but actually help improve safety for drivers? True! Data analyzed before and after a rest area is installed shows a decrease in fatigue-related crashes. WSDOT has 48 rest areas, with 28 located on the interstate system, each approximately 30 to 45 miles apart. There are two in Snohomish County, one in Everett and one in Smokey Point. You can plan your rest area stops with this handy webpage so you can know before you go, or know before you REALLY NEED to go…if you know what I mean. The Kenmore City Council invites Kenmore residents celebrating their 100th or more birthday this year to the Council meeting on Monday, September 9. We want to recognize Kenmore’s centenarians, as they hold the keys to longevity and quality of life. Please join us in this celebration on September 9 at 7pm at Kenmore City Hall, 18120 68th Ave NE. To RSVP, contact the City Manager’s Office at 425-398-8900 or email. Steven H. Robinson's photos and stories about the "Pilot for a Day" event in a C-47 (see Vintage View and WWII DC-3) brought up some old memories for Shoreline resident Jack Leicester. In the early '50's, I flew on the C-47 for a local airline both as a steward and a pilot trainee in the second seat. The Captains were all WWII vets. I marveled at the performance of the aircraft under terrible weather and terrain conditions. For years, I awaited the release of the archived John Wayne movie "Island In The Sky"-- the story of a C-47 that crash landed in the Canadian Arctic and the search for that aircraft by the close knit group of fellow C-47 pilots who flew this aircraft for the military. The aerial photography, the formation flying of the search pilots in the poor weather and mountainous terrain was just superb. It showed the capability of the aircraft under extreme conditions. A still from the 1953 movie "Island in the Sky"
The movie is based on a book by Ernest K. Gann, the author of multiple best-selling novels about aviation, several of which were made into popular movies. He died in 1991 at the age of 81 at his home in the San Juan islands. The first day of school for the Shoreline School District is Wednesday, September 4th, and the Lake Forest Park Police Department would like to make sure that the new school year starts out safe for our children. Our police officers will be out in force patrolling neighborhoods before, during, and after school looking for motorists speeding and not paying attention to driving (i.e. on the cell phone, texting, etc.). As a reminder, the school zone speed enforcement cameras will also be turned back on and will be active in the morning from 7:00am - 9:30am and in the afternoon from 2:00pm - 4:30pm on all school days. These cameras are an essential part of our overall effort to make our children safe at school. When driving in school zones, stay alert and drive safely. Our children’s lives depend on it. 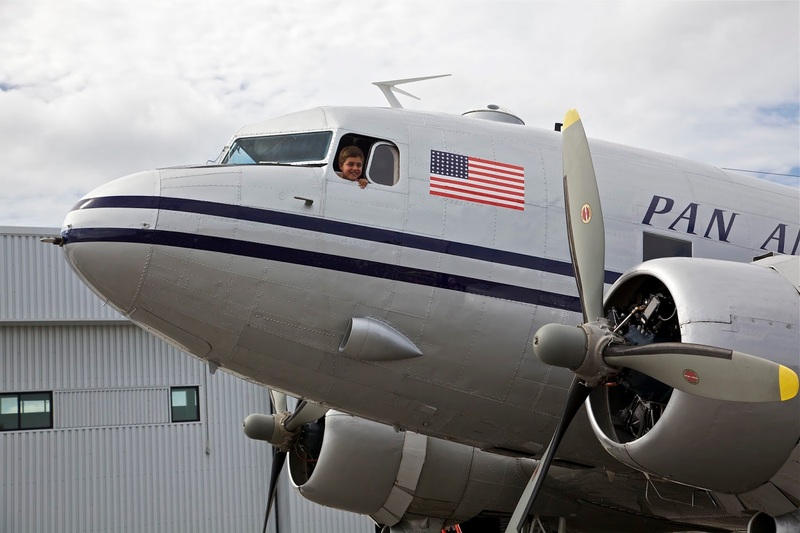 Twelve Pilots for a Day, winners of an essay contest, were able to fly a Douglas DC-3/C-47 twin engine passenger/transport plane over Seattle and the San Juan Islands as part of an event by the Historic Flight Foundation. Jeffrey Wheeler from Everett wore his grandfather’s US Army Air uniform jacket on the flight and Reen Doser from Snohomish wore her father’s wings from United Airlines where he flew DC-3s. Her father and mother met at United, he as captain and she as a stewardess. Fred Charles from Seattle was a C-47 pilot during World War II in Asia and the Pacific. He was one of the first American transport pilots to land in Japan, as they delivered communication equipment to be used on board the USS Missouri during the Armistice signing. Ursula Denison was a refugee from Eastern Europe and was flown from West Berlin to Frankfurt Germany as a girl. She related that in 1967 she was working for Johnson & Johnson making $1.10 an hour. It took her 46 years to fly in the Johnson and Johnson executive airplane. Riding in the airplane was quiet and relaxing with plush executive chairs and plenty of legroom. The “pilots” got to see the three sports stadiums (Century Link, Safeco and Husky Stadium) from a much lower altitude than commercial airplanes can fly over the city. The Historic Flight Foundation will be sponsoring a vintage fly-in on Saturday August 31st where you can see the DC-3 and 60 other aircraft. See Vintage Aircraft Weekend for additional details. Husky fans going to the opening game in the new stadium can avoid the traffic crush by taking a Metro shuttle. The Saturday, August 31, 2013 season opener kicks off at 7pm - Boise State vs. Washington. Metro will operate game day non-stop shuttle buses to Husky Stadium from the Northgate Transit Center, and Shoreline P/R, as well as other locations around the county. Shuttles leave the parking areas starting two and one half hours prior to kick-off as they fill, with the last buses from each area leaving approximately 40 minutes before kick-off. While every effort is made to accommodate all Husky Shuttle customers, fans are encouraged to allow plenty of time to get to the games, due to expected traffic and congestion at and near Husky Stadium. Riders who miss the P/R shuttles can ride regularly scheduled service, but may not get to the stadium by kick-off time. A transfer may be required. A $5 round trip ticket – purchased at the P/Rs prior to boarding - is required on Husky P/R shuttles. Game tickets, passes, transfers, ORCA cards and UPASS are not accepted on the P/R shuttles. A valid regular fare is required on all regularly scheduled service. Game tickets are not accepted as fare on any service. Post-game shuttles returning to park-and-ride lots leave immediately after the end of the game as they fill. The last bus to depart from each location leaves 30 minutes after the end of the game. Husky P/R shuttles are designated by colored signs in their front and side windows and depart from the following locations:. Visit Metro’s Service Advisories page for additional Husky game day P/R Shuttle information. Also on all Husky game days, Metro bus routes 31, 44, 65, 68, and 75 will be rerouted near Husky Stadium, due to traffic congestion associated with UW Husky football games. These routes have both pre- and post-game service revisions. For information about regular Transit service to or from UW Husky games, or to plan other trips, visit Metro Online and the online Trip Planner. The Trip Planner provides information about scheduled service and stops. After planning your trip, check Metro’s Service Advisories page to find out about any planned revisions to your routes. Fans are reminded to expect heavy game-day traffic and related delays in the University area. “I am proud of Washington State for leading the way on national policy. 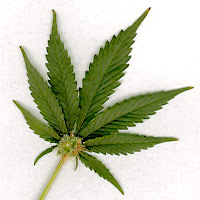 We will regulate the production and sale of adult use marijuana in a way that reduces harm, protects youth, and profits legitimate, law-abiding, tax-paying businesses rather than criminals. 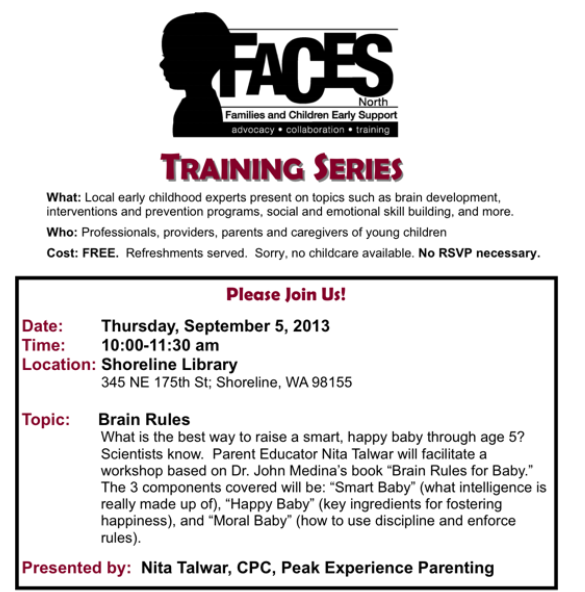 The training will be held September 5 from 10:00-11:30am at the Shoreline Library, 345 NE 175th. As if there wasn't even water falling from the sky, the Northshore Utility District responded to a water main break near the intersection of 81st Pl NE and NE 161st Pl on Thursday, August 29, 2013. As of about 5:30pm, road closures and detours were in place until further notice. Limited local access is available. Contact Northshore Utility District for more information at 425-398-4400. 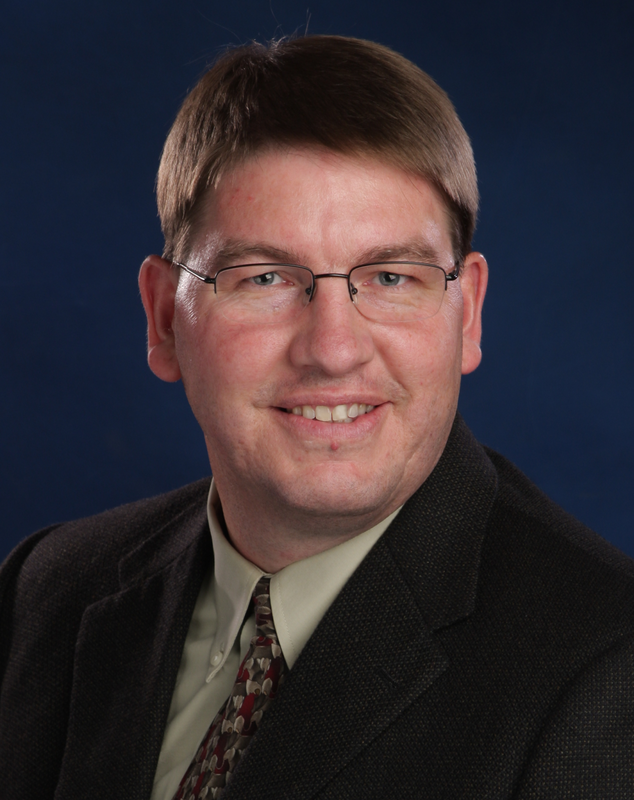 The Chamber will be updated by SCC interim President, Daryl Campbell, on the current search for the permanent replacement of former Shoreline CC President, Lee Lambert. The SCC International Education program will then discuss the economical impact of their program on the Shoreline community and what the potential growth of their program means to future of the college and surrounding area. Also, Ron Carnell will give an overview of the SCC Plus 50 Program and the SCC Summer College. The chamber luncheon from the college will be broadcast live thanks to FX Video. Contact Dwight Edwards, FX Video, for more information on the channel or sponsorship opportunities at 206-799-8358. RSVP is required no later than Monday, Sept. 9, for members and visitors so lunches can be ordered from the Caterer. If you would like to attend after this date, contact the office to see if there is space available. To reserve your spot send an email to the Chamber or register on-line with a credit card. 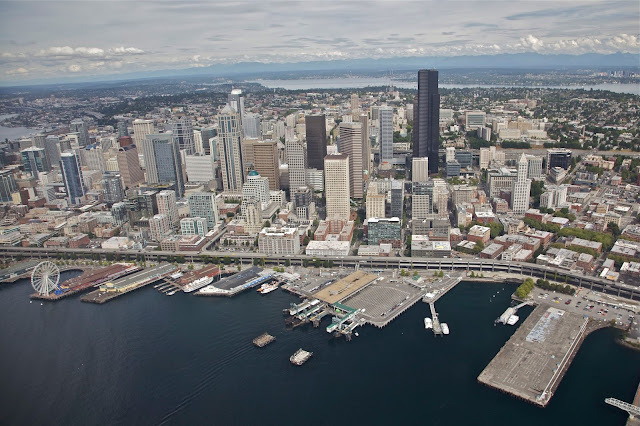 The Sound Transit Art Program (STart) in Seattle, WA is seeking a qualified person to fill a new Art Collection Specialist full-time position. Sound Transit incorporates art in the light rail, commuter rail and express bus facilities it is building in the three county region of the central Puget Sound area. The right person will maintain the art collection records along with coordinating condition surveys, cleanings, repairs, and conservation as well as preforming light artwork care in the field. On August 7, 2013 over 50 people of limited incomes including representatives from agencies that serve them attended an event at Prince of Peace Lutheran Church convened by Senior Services and facilitated by Dori Gillam. Deputy Mayor Chris Eggen provided opening remarks with a special welcome from Kevin Osborn of Hopelink. The event was made possible by an Equity Grant from the Growing Transit Communities Project administered by Impact Capital. Shoreline City Council Member Jesse Salomon also attended the event. Successful transit communities are created through inclusive planning and decision making processes, which is why the event was held. 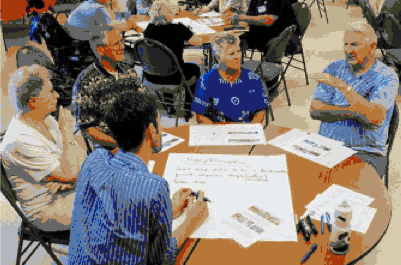 Participants engaged in conversation about, and envisioned, the kind of community they want to live in, specifically, the amenities and services they would like to see at or near the Light Rail Stations in Shoreline. This is the first time people of more modest means have been organized to provide input to such a long-range and large-scale project. A summary of their feedback is organized under the topic areas below. Circulating shuttles that loop to the station, shops, library, grocery stores, etc. Thursday afternoon's mix of weather brought a brief but vivid rainbow over Shoreline around 4:30pm. The view is from 185th at Aurora. 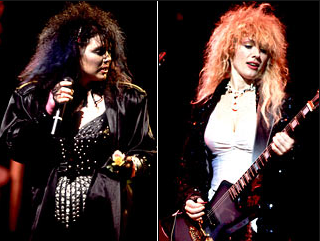 Thanks to Phyllis Johnson for this shot. 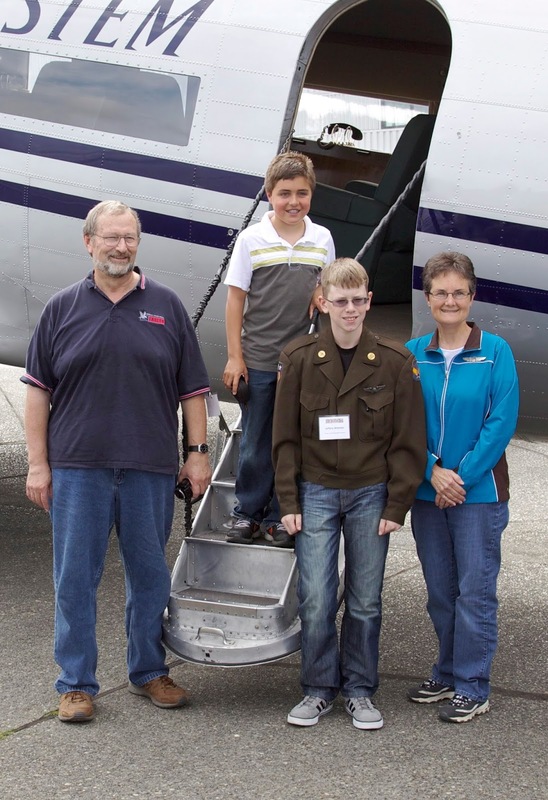 On Tuesday August 27, 2013 two groups of twelve individuals were chosen from 450 applicants to become “Pilot for a Day” at the Historic Flight Foundation event at Paine Field. 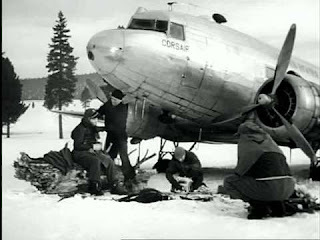 The twelve were able to fly a Douglas DC-3/C-47 twin engine passenger/transport plane which flew in China over the “Hump” from India to China during World War II, then as an airliner in China until 1949. The plane was later purchased by the Johnson and Johnson Company as an executive airplane. The participants ranged in age from 11 to 89, including two elementary students, one high school freshman, and eight adults, all from the local area except for one person who flew in from Juneau, Alaska to participate in this once in a lifetime experience. 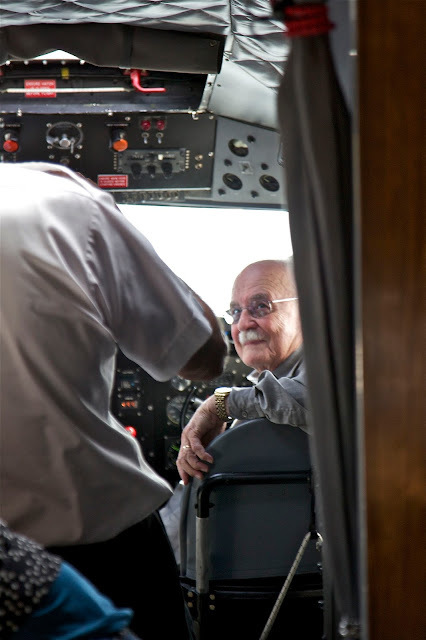 The “Pilots” received a briefing from John Sessions, the pilot from the Historic Flight Foundation, He presented the history of the plane and how the foundation obtained the aircraft, the weather report, and what to expect during the hour flight over the San Juan Islands and Seattle. 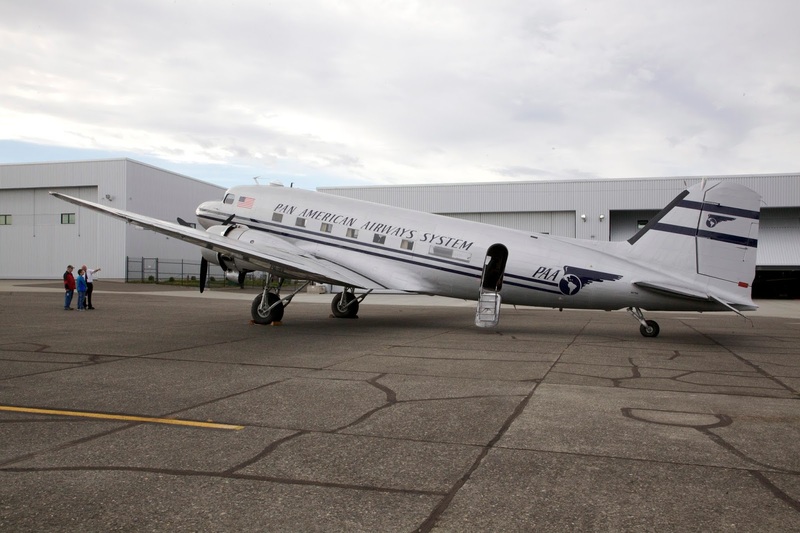 After the flight the “pilots” were given the opportunity to visit the Control Tower at Paine Field. Comments from the pilots included “marvelous, amazing, very comfortable, Seattle never looked so good." 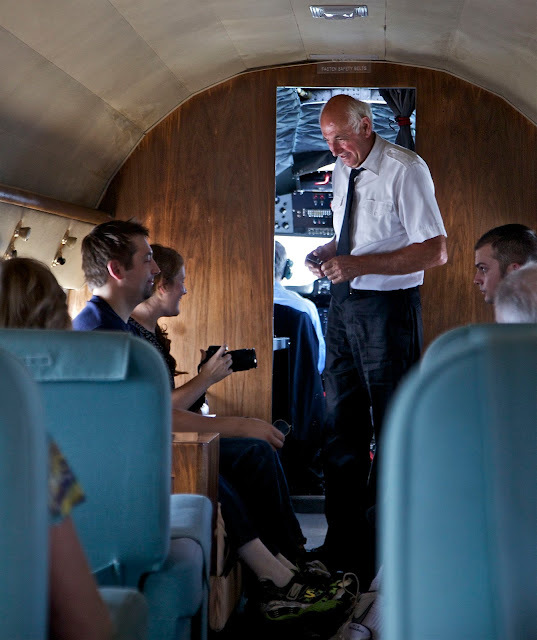 Some who had previously flown on DC-3 aircraft indicated that the ride brought back many memories. Alan Kiest and John Resha will meet in the November general election for the Lake Forest Park City Council position that Councilman Bob Lee now holds. I am running for LFP City Council because residents need a strong voice as we face increased pressures to change our neighborhoods. We need an experienced Councilmember with a long-term perspective who can marry our past with our future. With years of experience, I will continue to stand up for our citizens and help to build up City financial reserves. Our citizens are asking their elected officials to support the strong qualities of our neighborhoods, not threaten them. They only want redevelopment where it makes sense to those who will live next to it. It is critical we find workable solutions within a budget that fits our small community. My Master of Public Administration degree from UW has enabled me to craft skillful budget choices that protect core services. As a former United Way Board member I know that government is most effective when it works in partnership with volunteers. I will work to ensure a City Hall that is inclusive, responsive, and practical so that our gem of a City thrives for generations. I do not accept money from groups with business before the City so you can be confident I will always put the interests of residents first. Mobility and Traffic: Congestion on Bothell Way and neighborhood cut-through traffic is on the rise at the same time Metro is proposing to cut our local transit service, I will work to keep our neighborhoods safe, while giving our residents the most choices for how we travel and connect. Transparent and Accountable City Government: I will insist upon better engagement with citizens around what is being considered and the crucial decisions affecting our City. 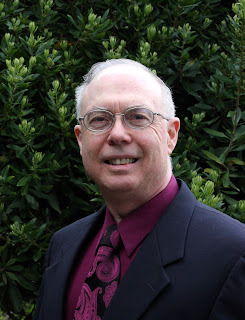 Responsible Government Spending: As a nationally recognized government-efficiency expert with a proven record of saving millions of dollars for King County, I know how to deliver on the priorities of our community. Endorsed by the Teamsters, Machinists, Painters and Allied Trades, SEIU, King County Labor Council, the 46th District Democrats, Executive Dow Constantine, Councilmember Rod Dembowski, four sitting LFP Councilmembers and dozens of residents and local leaders. I offer you an independent, regionally respected voice, proven leadership, and a commitment to community engagement to address today’s challenges with an open mind. 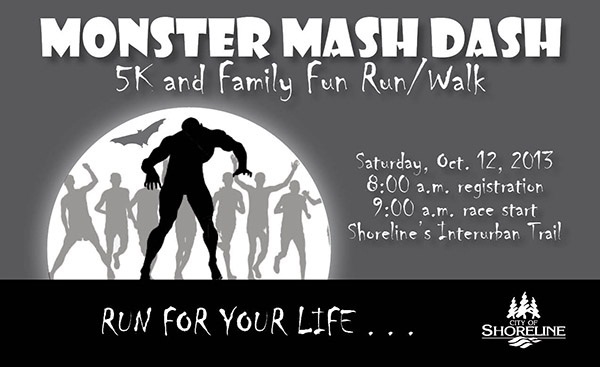 The Monster Mash Dash is a family 5k fun run and walk along Shoreline's Interurban Trail. Costumes are encouraged and prizes will be awarded for the best costume in each age group as well as best group costume. 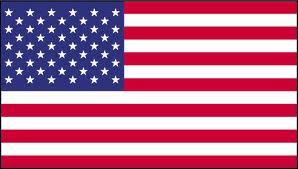 Governor Inslee hereby directs that Washington State and United States flags at all state agency facilities be lowered to half-staff on Wednesday, September 11, 2013, for national Patriot Day, the annual memorial to the victims of the 2001 tragedy. Flags should remain at half-staff until close of business Wednesday, or first thing Thursday morning, September 12. Call 360-816-2216 if you have any questions about this flag lowering. "If you are not a Rotarian, but would like to hear him speak, call Ken Noreen at 206-542-3842 (or any other Rotarian in the club) and be our guest." Breakfast Rotary meets at the Shoreline Center Spartan Room every Wednesday with breakfast starting at 7am. 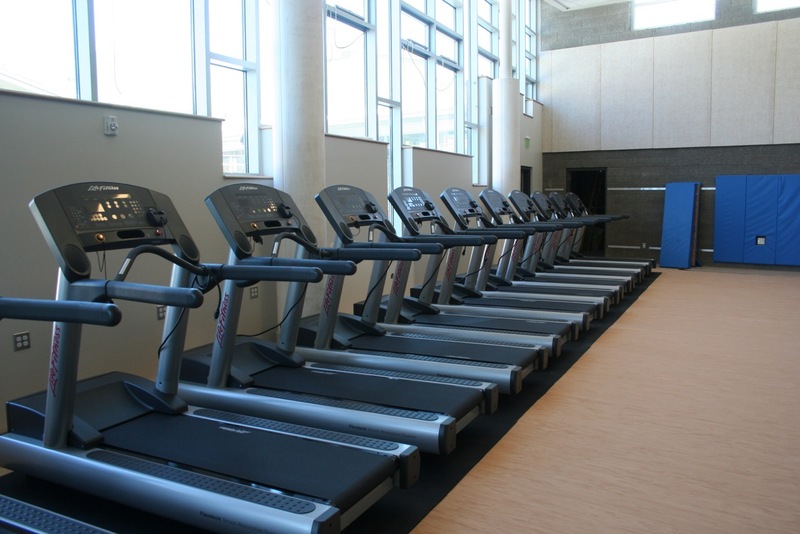 The Shoreline Center is at 18560 1st Ave NE. The Spartan Room is at the far north end of the building. 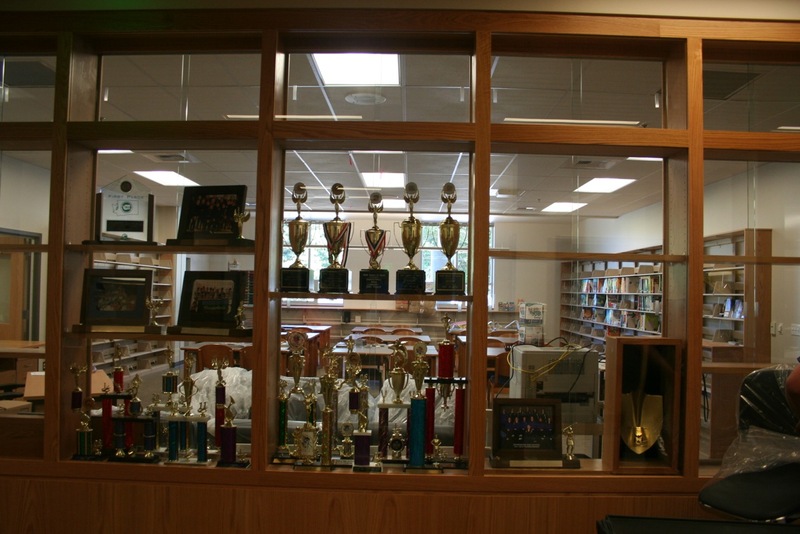 looking into the Career Center. The new Shorewood High School is now open for business. The main office, ASB office and counseling office will be open from 7:30am to 12 noon and 1 to 3:30pm. Visitors may park in the south parking lot (accessed off North 170th) or on Linden Avenue North across from the school. Inside, preparations continue for opening of the entire building for the first day of school on Wednesday, Sept. 4. Orientation for new freshmen was held Wednesday, Aug. 28. Final cleaning continues in classrooms following ceiling tile installation. Furniture is being installed throughout the building. Main and auxiliary gym wood floor is installed and striping completed. Topsoil is being placed and planting continues around the front entrance and south courtyard. 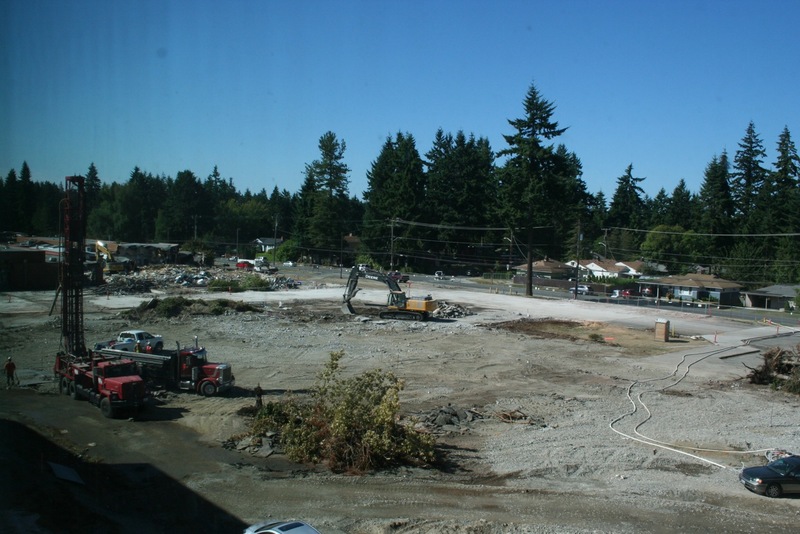 Demolition of the former Shorewood building is ongoing, with crews continuing to move south. The site of the old building will be replaced by parking, athletic fields and tennis courts. 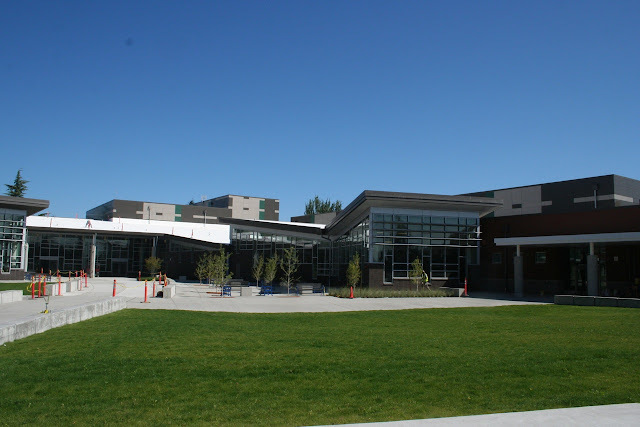 Shorewood will host a community open house and dedication for the new building from 1 to 4pm on Saturday, Oct. 12, with a program at 1:30pm in the gymnasium. 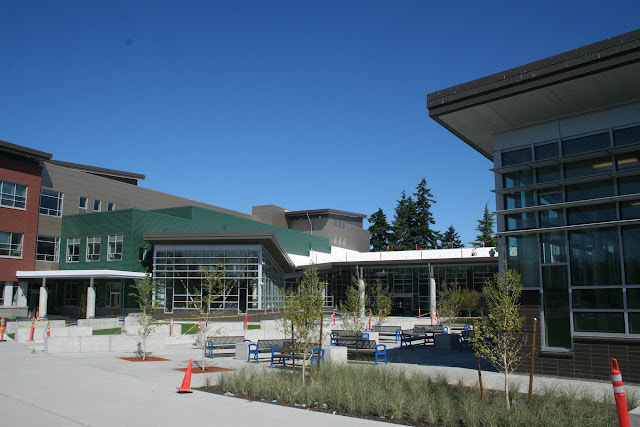 The Shorewood library at left, entrance to the Commons at center, and fitness center at right. The courtyard of the new Shorewood. 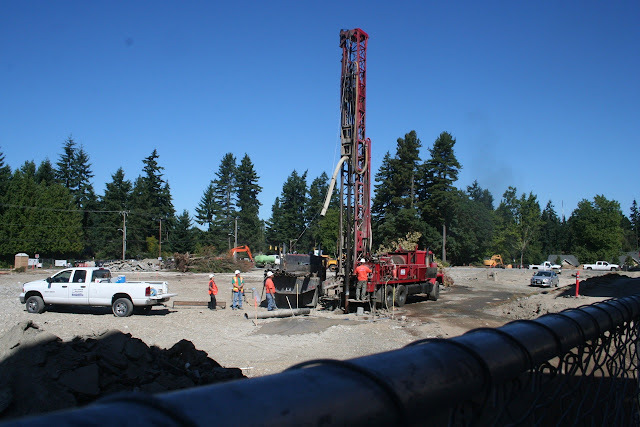 Crews drilling underground injection wells for handling surface water on the Shorewood site. Demolition continues on the old Shorewood building as crews move south. 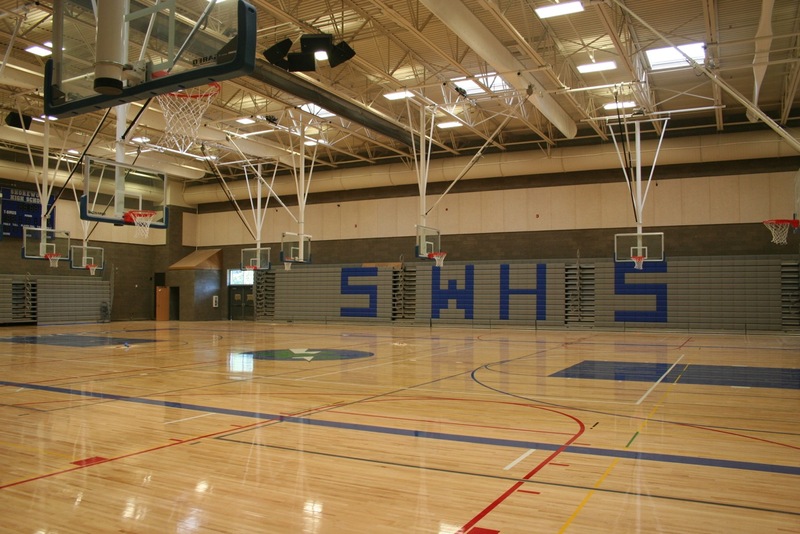 The new Shorewood gymnasium with plenty of basketball hoops. Treadmills ready for use in the fitness center. Call Scott on Tuesdays or Wednesdays, 206-365-1536, for more information about the Early Memory Loss group, which includes spouses, friends, and caregivers. Courthouse artwork that depicts the March on Washington is at the center of the County’s golden anniversary tribute to the "I Have a Dream" speech. Dignitaries gather around the Courthouse rotunda floor. 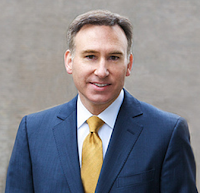 Fifty years ago, Dr. Martin Luther King, Jr. delivered his historic "I Have a Dream" speech during the March on Washington, D.C. King County Executive Dow Constantine celebrated the golden anniversary Wednesday morning with a ceremony at the King County Courthouse. The building's rotunda features artwork depicting Dr. King speaking to the crowd at the Lincoln Memorial on August 28, 1963. King County Council Chair Larry Gossett was heavily involved in the civil rights movement of the 1960s. As a student at the University of Washington, he was one of the founders of the Black Student Union. 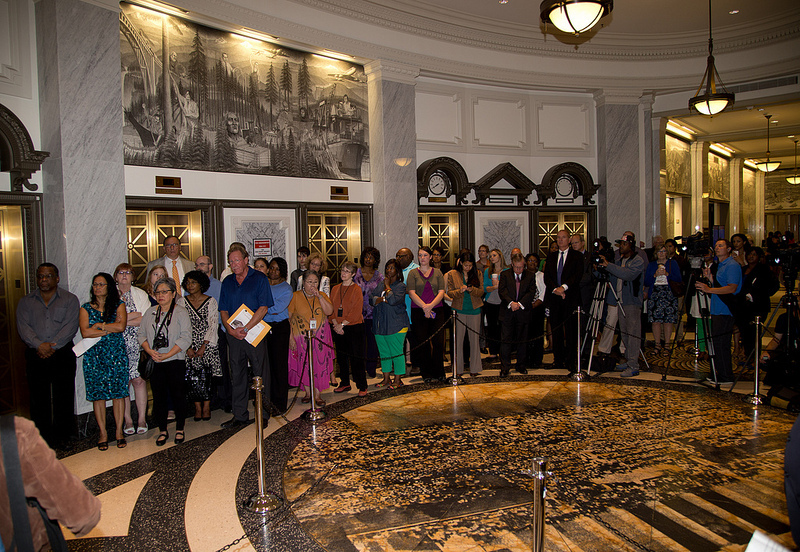 During today's observance, Council Chair Gossett encouraged attendees to keep working to eliminate inequities. "Dr. King's dream urged us to work to change the world into a 'Beloved Community' of equality and justice," said Council Chair Gossett. "We have accomplished much, but as we continue doing the work of Dr. King, we should keep in mind that he urged us to fight against the evil triplets of militarism, materialism, and racism. Until we have ridden the world of these evils, his dream – our dreams – will not become reality." Rev. Dr. Samuel McKinney also spoke at this morning's ceremony. Now the pastor emeritus at Seattle's Mount Zion Baptist Church, Rev. Dr. McKinney attended the March on Washington in 1963 and was a close friend of Dr. King. During his remarks, Rev. Dr. McKinney recalled attending Morehouse College in Atlanta with Dr. King when both were teenagers. The Courthouse artwork depicting the March on Washington, entitled "Truth Crushed to the Earth Will Rise Again," was created by artist Linda Beaumont in 2005. Inspired by the 1986 decision to rename King County for the civil rights leader, Beaumont chose to honor Dr. King by using an image of him and the crowd at the Lincoln Memorial as the central focus of the rotunda floor. The original photo was taken by Flip Schulke, a photographer who often traveled with Dr. King to document the civil rights movement of the 1960s. Beaumont's terrazzo and marble piece is surrounded by a quote from Dr. King. Inlaid in brass, the text reads, "Never allow it to be said that you are silent onlookers, detached spectators, but that you are involved participants in the struggle to make justice a reality." The quote comes from a speech that Dr. King delivered at the Oberlin (Ohio) College commencement in June 1965. Images of Dr. King are also featured elsewhere in the Courthouse. A series of charcoal and pencil murals by Douglas Cooper, entitled "From these Hills, from these Waters," tell the history of King County. One of the panels located in the Courthouse rotunda uses Dr. King as a central figure in a depiction of the struggle for fair distribution of wealth. Finally, a photo in etched glass of Dr. King, also taken by Flip Schulke, can be found at the Courthouse exit onto Third Avenue. Less than two weeks until SummerSet Arts Festival: Celebrating Ronald Bog happens on September 7th from 1-5pm. This summer leading up to the free-to-the-public celebration day has included many art parties around town at local events such as Solarfest, YMCA day camp, the Farmer's Market at City Hall, local knitting group meetings, and gatherings at Ronald Bog Park on N 175th St. Under coordinating artist Kathy Plants' direction, hundreds of Shoreline residents aged 4-88 years old have transformed a mountain of discarded cd's and donated yarn into 450+ wildly colorful fuzzy ornaments to be installed next week on the tree-lined block in front of Ronald Bog Park. This corridor will be further transformed with texture-rich fabric covered wood panels temporarily installed at the Metro Bus shelter and the Shoreline Ponies will have surprise enhancements for the festival as well. On festival day, local volunteer resident artists will lead FREE two-dimensional and three-dimensional art-making booths and make music together. Local sculptors will display their large works that include a brightly colored enormous curvy wrapped tree branch, a giant human-sized nest, a colorful felted rock wall, and more. The day promises to be one that ignites creativity and celebrates community! For more info, contact Cynthia Knox, 206-218-3302. Straight from the Triple Door to Shoreline, the Michael Stegner and Friends band will be playing in the City Hall courtyard, or lobby if necessary, on Wednesday, August 28, 2013 at 7:00pm. It’s the Piano Time 2013 grand finale with Stegner on the Shoreline Rocks grand piano. For this free, final “concert in the park” the Stegner Trio will entertain and delight you with a mix of jazz, alt country, pop and the best of Ray Charles. With lots of room for the band and you they will be sure to play some tunes that will get you up on your feet and dancing. We’re thinking sun so bring your lawn chairs or a blanket and a warm jacket as well as your family and friends for a lively musical evening to swing out the summer in style. Bring a picnic if you wish and as an added treat Fidalgo Bay Coffee will be available. The concert is sponsored by the City of Shoreline with partial support from a 4Culture Arts Award. More information here or email Ros Bird. Two and a half year old Simhadri of Ridgecrest 'performs' on the painted piano outside the Richmond Beach Library. According to his dad, "We took him to the unveiling at 'Arts Al Fresco' and since then he has been looking forward to bumping into one of the many painted pianos in Shoreline. He was here for the Summer Concert Series on August 7th." SWEL Timebank Orientation on Tuesday, September 3, 2013 at 6:30 pm at the Richmond Beach Library in Shoreline, 19601 21st Ave NW, Shoreline 98177. Find out how volunteering through a timebank improve the quality of our lives, helps others, strengthen communities, build friendships and more! We would love to have the residents of Shoreline join our timebank! *Attending our orientation is one of the requirements in order to join. More information here. RSVP or ask questions at the SWEL email or Facebook page. Jason Colberg and Hilda Thompson are running for the Lake Forest Park City Council position now hold by Councilwoman Sandy Koppenol. Educator, entrepreneur and home-school dad. Lake Forest Park Presbyterian Church deacon and youth leader. Good government balances stewardship, compassion and responsibility. Recently, Lake Forest Park residents have rejected the largest tax increase in city history and there has been a subsequent overhaul of city leadership and personnel. The budget is on track for the foreseeable future. Teamsters negotiations for union personnel contracts have just been completed and provide projected financial stability for the next four years. Lake Forest Park is in a great spot! • Improving government transparency by proactively seeking resident input. I have the character, vision, leadership skills, knowledge, education and experience Lake Forest Park residents need from their City Council representatives. 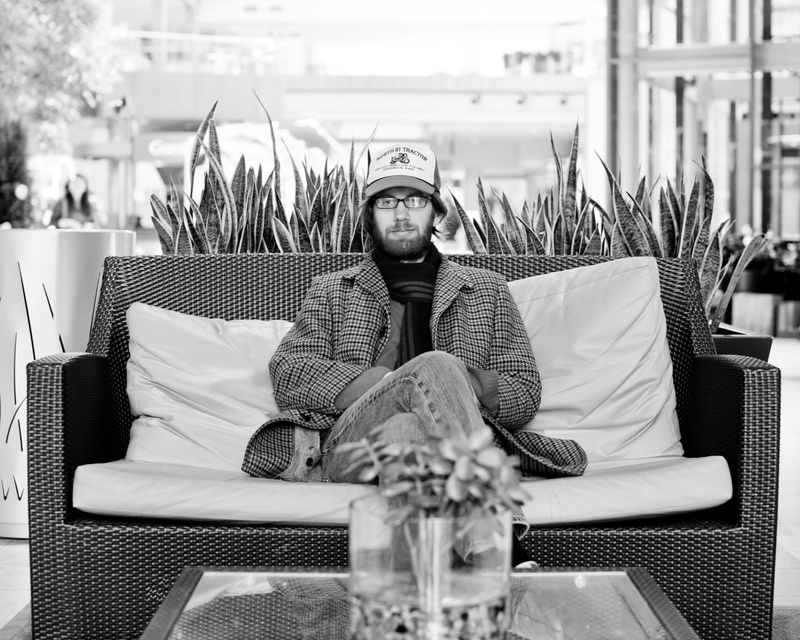 Please Vote for Jason Colberg! GovWatch Endorsed! I was born, raised, and hope to stay here, but I am the exception. Few under 35 choose to do so. We aren't keeping up with the needs of tomorrow's families. I'll work for more mass transit, more green jobs, safer pedestrian trails and sidewalks to keep LFP a safe, environmentally vibrant community. I'll bring new ideas and a fresh voice we could use. Local government isn't new to me: I've served as a LFP Community Services Commissioner, run a local campaign, and am active in our Rotary Club. A tutor of young children, I am especially interested in helping all our kids get the quality education and the resources they need to succeed. I worked for a great woman: Sen. Patty Murray, who taught me the value of being involved in local politics. I have endorsements from current and past members of the LFP Council: Catherine Stanford, Don Fiene, Sandy Koppenol, Robert Lee, Roger Olstad, Ed Sterner, as well as the legislators I would work with: Rep. Jessyn Farrell, Rep. Gerry Pollett and Sen. David Frockt. a North Seattle Improvment Company development. Celebrating the 100th anniversary of one of the oldest homes in Lake Forest Park and the oldest school building, the Shoreline Historical Museum, with the gracious permission of Ron and Geri Hoefer, will conduct a Home and Garden Tour of the Alexander H. Reid property on September 21, 2013. The beautiful home, its surrounding grounds, and the darling, 100 year-old first Lake Forest Park Schoolhouse are located on 3.5 acres of the original estate, nestled in the genteel past of the community. Tickets are $25 and are available online, or call the Museum at 206-542-7111. Proceeds will help fund a new building for the museum. 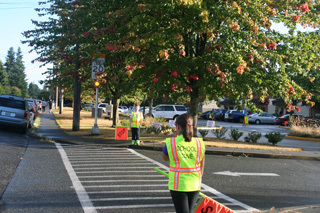 Nearly 60,000 bicyclists and pedestrians were counted by volunteers across Washington during a three-day survey in 2012. About 400 volunteers will be needed again this fall to count the number of people who ride bike or walk to their destinations. For this sixth annual survey, the Washington State Department of Transportation and the Cascade Bicycle Club are enlisting volunteers and organizations like FeetFirst and the Bicycle Alliance of Washington to help count the number of people bicycling and walking on paths, bike lanes, sidewalks, and other facilities Tuesday, Oct. 1, through Thursday, Oct. 3. Counts will be taken in a least 38 cities throughout the state. Those interested in helping can learn more by visiting WSDOT’s website, by contacting Cascade Bicycle Club or calling 206-861-9890. WSDOT’s count is part of the National Documentation Project, an annual bicycle and pedestrian count and survey effort that is sponsored by the Institute of Transportation Engineers Pedestrian and Bicycle Council.